Car crashes are the number one cause of death among American children, according to the National Highway Transportation Safety Administration. However, many of these deaths could have been prevented if people had used their parenting skills to take a simple safety precaution. In anticipation of National Child Passenger Safety week, fathers and mothers are being given parenting advice about the importance of buckling their children into an appropriate safety seat or booster seat every time they ride in the car. "I cannot stress enough how important it is to properly buckle your children in safety seats," commented Allen D. Biehler, secretary of the Pennsylvania Department of Transportation. "Small children rely on adults to keep them safe from harm, including when they are traveling in a vehicle." The NHTSA recommends that all children up to 12 years old ride in the backseat of a vehicle for their own safety. Babies and toddlers should sit in child safety seats until they grow out of them, after which a booster seat should be used. 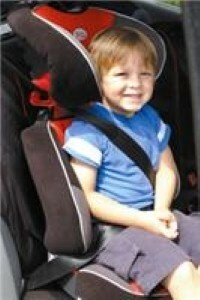 Once the car’s seat belt fits the child properly, they are safe to ride without a special seat. This usually happens when they reach the height of around 4 ft 9 in.